There are a few things that I love about summer. 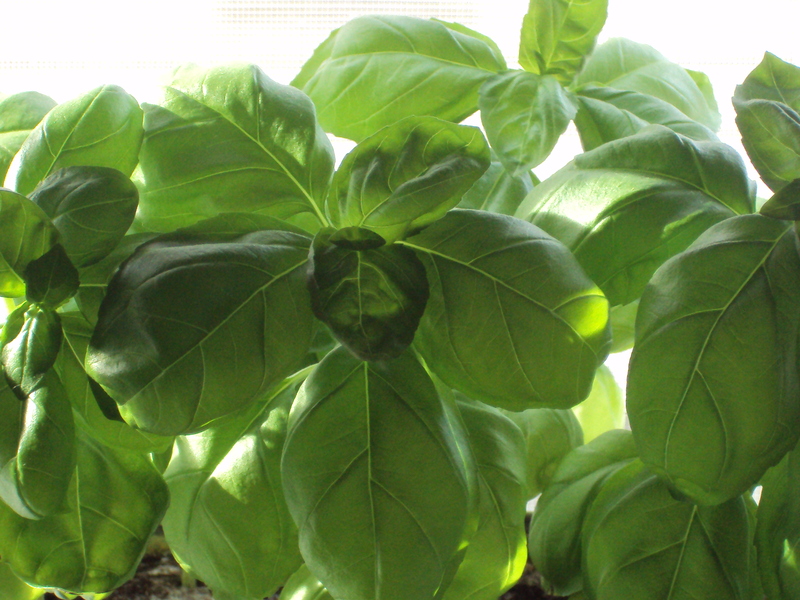 Fresh basil growing abundantly on my kitchen windowsill just invigorates and inspires me to find new and interesting ways to use it all up. This is a recipe that I originally found while flipping through the Best of Bridge cookbook. However, because I am a such a huge fan of garlic, I have taken the liberty of adding a lot more. Unfortunately for us, summer doesn’t last forever. This dip is great for pulling me out of the mid-winter funk that always happens when the thermostat hits a bone chilling -30C (-22F). If in the off-chance that there is any of this dip left over (almost never), I normally throw it in the pan and toss with some pasta and roasted vegetables for a delightful creamy pasta. 1. Place all ingredients, except basil in a bowl. Thoroughly mix. 2. Add basil and mix well. 3. Cover bowl with plastic wrap (or lid) and let sit for a minimum of 1 hour in the fridge before serving. 4. Transfer contents to a nice dish. 5. Pairs well with Melba crackers (my favorite), bagel chips or vegetables. * as with all things and garlic…the longer you allow this dip to sit, the more pronounced the garlic flavour becomes. YUM!